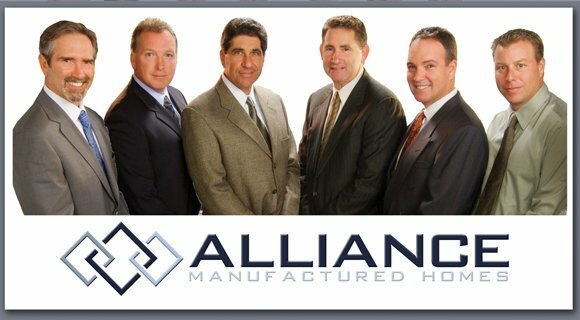 Alliance Manufactured Homes may have opened our doors for business in the fall of 2006, but our story starts decades before that. In 1980, Alliance President Glenn Gilliam embarked on what would be a life-long journey to revolutionize the manufactured home industry, starting as a sales agent and eventually becoming a dealer. With the addition of longtime friends Art Chatoff, Bill Ebert, Ara Sarkisian, Ryan Gilliam, and Steve Ewbank, an Alliance was formed uniting their unique talents. From architecture and construction, to sales and finance, each individual brings a different, yet impressive expertise to the table. Now less than five years later, Alliance ranks as one of the top dealerships for new home sales in California. With our main offices in Sunnyvale and Santa Cruz, and a staff of over 50 full time employees, we have resources and ability to meet all of your manufactured housing needs, especially in the resale market. And with over 100 years of combined experience, we have the expertise and knowledge to do so efficiently and properly. What separates Alliance from the rest? Our team has people that specialize in every step of the buying/selling process. Aside from our extensive experience as a manufactured home dealer and real estate broker with top-notch agents, we also have our own in-house marketing department, finance department, insurance branch, and construction company. While the competition is forced to outsource, we are a one-stop-shop, and our goal is to make your home buying or selling experience as easy and convenient as possible.